In July of 1930, through an executive order by Herbert Hoover, the Veterans Administration was created. The federal government guarantees VA-guaranteed loans through the Veterans Benefits Administration. VA loans are government funded and often times provide more favorable terms than conventional mortgages. For more specifics and detailed information about NY VA home loans, check out our New York VA Mortgages page. Who is Eligible for VA Home Loans in New York? As a Mortgage Broker, Maple Tree Funding is required to check and ensure that the applicant is an eligible veteran. In order to obtain a reliable proof of eligibility, we look for a Certificate of Eligibility (COE). We do this by first asking the veteran to document his or her service. Any exemption from payment of the funding fee due to receipt of disability income and the amount the Veteran is entitled to receive from the Veteran’s Administration. 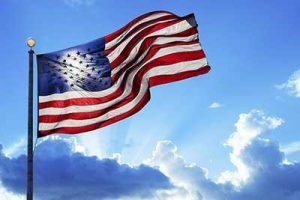 While brokers and lenders have a VA Portal where we can assist in obtaining the COE, Veterans may also apply for a COE online at http://www.ebenefits.va.gov. Typically, all members of the Reserves and/or Guard will receive an annual retirement points summary that indicates the level and length of participation. A minimum of six years of reserve service is required. The amount of available basic entitlement is $36,000 and it may be reduced if a veteran has used the entitlement before that has not been restored. This will be displayed on the COE when obtained. EXEMPT will show near the Funding Fee if the veteran is exempt. Please visit our page about how to determine VA mortgage eligibility to learn more about who is eligible for VA home loans. Ready to get the NY VA home loan process started? Give us a call today at 518-782-1202 or contact us online!